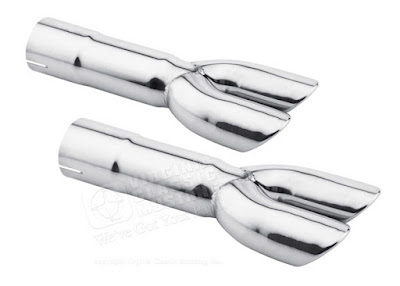 The exhaust tail pipe tips for the 67-69 Mustang dual exhaust are great looking pieces. 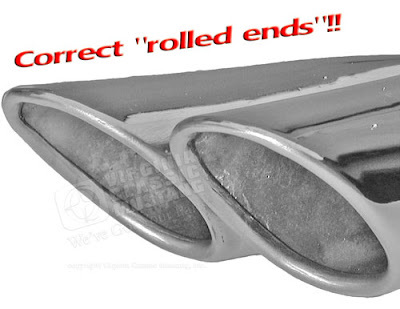 These tips are now available in a high flow 2 1/4 inch inlet size to fit this popular size of exhaust pipe. Otherwise, the tips are just like the originals - highly polished stainless steel, dual outlets, and those cool rolled ends.